The iPad is quickly becoming a “must-have” for every lawyer. It’s more than a Smartphone but not quite a laptop…it’s more like an “electronic legal pad.” Lawyers are finding the iPad to be the perfect tool for reading books, annotating documents, taking notes, catching-up on news, surfing the Web, giving presentations, and a myriad of other tasks. Whether you’ve had an iPad for one week or one year, you’ll learn something new in this half day seminar. Bring your iPad for a hands-on environment as our expert and panelists walk you through the apps you need and how to use them. Burney received his B.A. from the University of North Texas and his J.D. from the University of Dayton School of Law. He is the founder of his firm and provides professional consulting services for electronic discovery, litigation support and trial technology to corporate executives and legal professionals. Prior to establishing his firm, Burney spent five years at Thompson Hine LLP in Cleveland. He is a frequent speaker at numerous legal technology conferences and is a well-respected author on legal technology topics. PLUS! ABA Law Practice Management Section will be on hand with the hugely popular “iPad in One Hour” book series including: iPad in One Hour (2nd edition), iPad Apps in One Hour and pre-sales of iPad in One Hour for Litigators. 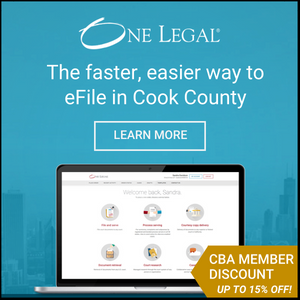 This program will be at the Chicago Bar Association on Monday, November 19, 2013 9:00 a.m. – 12:00 p.m. Sign up now before it fills up!